We protect and open to the public over 350 historic houses, gardens and ancient monuments. But it doesn’t stop there. We also look after forests, woods, fens, beaches, farmland, downs, moorland, islands, archaeological remains, castles, nature reserves, villages – for ever, for everyone. These National Trust pitstops all have beautiful gardens and a cafe serving homemade goodies. They are located close to a walk found on The Outdoor Guide and are family friendly. Few of Britain’s remarkable naturalists achieved as much as Captain Cyril Diver (1892-1969). Diver became fascinated by nature as a young soldier during the First World War when studying snails in the trenches of the Western Front became a welcome distraction from the horrors unfolding around him. Eighty years on, the National Trust led a three year project between 2013 and 2015 to resurvey the peninsula, with close reference to the Diver archive material. Now, more than ever, this nation needs its naturalists, to provide data to help us understand the burgeoning issues of climate change, new species colonisation and impending ecological change. The National Trust have teamed up with Cotswold Outdoor to celebrate the Great British Walks of 2015. 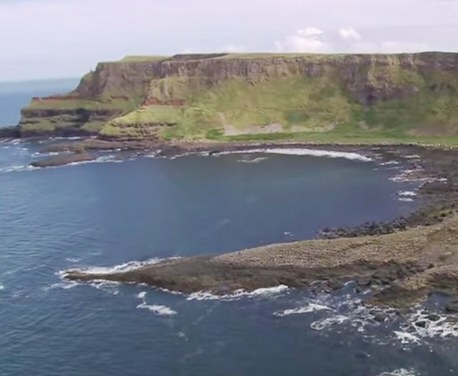 The Outdoor Guide and Julia Bradbury share highlights of the 9 coastal walks from clifftop rambles to sandy beach strolls around our beautiful countryside. “There are countless inspirational people in the world, and most of us can probably recall around ten or so names that are inspirational to us personally. People who have shaped our thoughts and opinions, taught us things, prompted us to probe and examine conventional theories. Octavia Hill is of course one of those people – a pioneering compassionate woman who fought the restrictions and customs of her era. Make new friends, work in amazing places and help a great cause. Where do you want to go? Search by country, town or postcode.